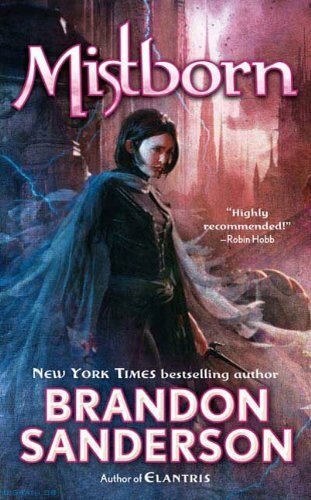 mestblinknfggc (Grade: A+) Brandon Sanderson creates an excellent fantasy universe in the Mistborn series. The magic system is complex but well-explained. It has a sense of realism with every action having an equal and opposite reaction. The characters can be a bit two dimensional but are lovable nonetheless. His approach blending the classic fantasy story with a good ol' fashioned caper makes for a great read. ladiesduck (Grade: A+) Best start to a series I've ever read. Lures you in with a unique and intricate magic system and leaves you with hints at more mysteries to be solved in future books. KittyFiend (Grade: C) Really fun magic system in an interesting world. The main character, Vin, makes the story feel a little bit YA, but the writing is good enough to overlook that. This is by far the best book in the series and in my opinion should be considered a stand alone novel. Hippy141 (Grade: A) I found the struggle against a immortal dictator to be a exciting concept and it followed through. The magic is quite interesting and Logically (for magic) sound. JohnC (Grade: A) Sanderson's like-able characters and interesting magic system sets this book apart from standard epic fantasy stories.